A popular retro hamburger spot in the East Bay may open its doors again and at the same time awaken a sleeping industry. 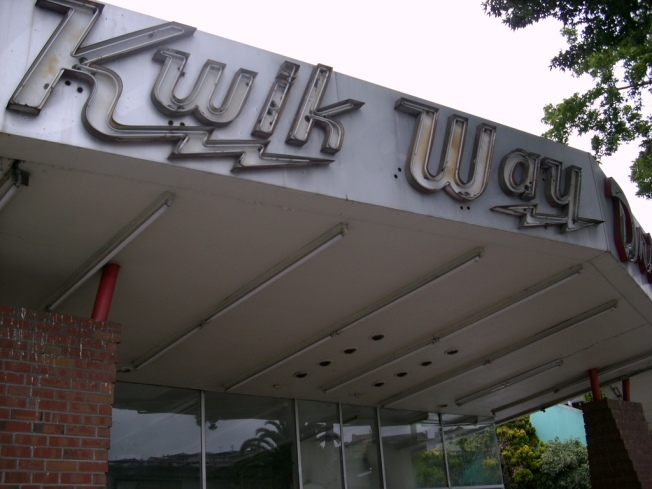 Kwik Way used to be an old school drive-in, fast food restaurant that was popular in the 60s and 70s. "(I've got) a lot of history and memories there and I think it would be great to revive it," said Gary Rizzo, who is working to bring the restaurant back. Rizzo now owns Somerset restaurant on College Avenue in Oakland. He wants to bring old school East Bay charm back to Oakland. "A lot of people we've been working with on the project said they use to come there when they were kids go to the theatre and come back," he said. But making a comeback in these tough financial times seems unlikely. Oakland Councilwoman Rebecca Kaplan says certain parts of the economy are starting to turn around but not enough. "We have a very high unemployment rate in Oakland," she said. "We have to take very serious steps to address that. Part of that requires we notice sectors that are growing. " Lucky for Rizzo, Kaplan says the food industry is growing in Oakland. New restaurants are seemingly popping up everywhere. "The growth of the restaurant industry and related food businesses and eco systems related to food production is something we're very proud of in Oakland," Kaplan said. That spirit has given some the opportunity to expand. The owner of a chicken and waffles restaurant in Jack London Square is thriving and planning to open another restaurant in Walnut Creek. That doesn't surprise Gerry Dove, who just started a new business of his own. "(There is) lots more vitality in Oakland," he said. "We need people to put some money back in the community."